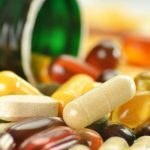 Do you really need supplements? We are sure you came here because a friend just popped in a number of pills from fancy looking bottles and recommended you do the same. You must get the required nutrient s – they said. And you are already wondering if you really need to take ‘em. Come on, you eat every day. You try to include a good amount of fruits and veggies in your diet too. So, why on earth would you need supplements? Supplements are, well, not natural, right? They sure might have long-term side effects? Most of the people you know don’t take supplements at all and are doing pretty fine. So, what’s all this about? 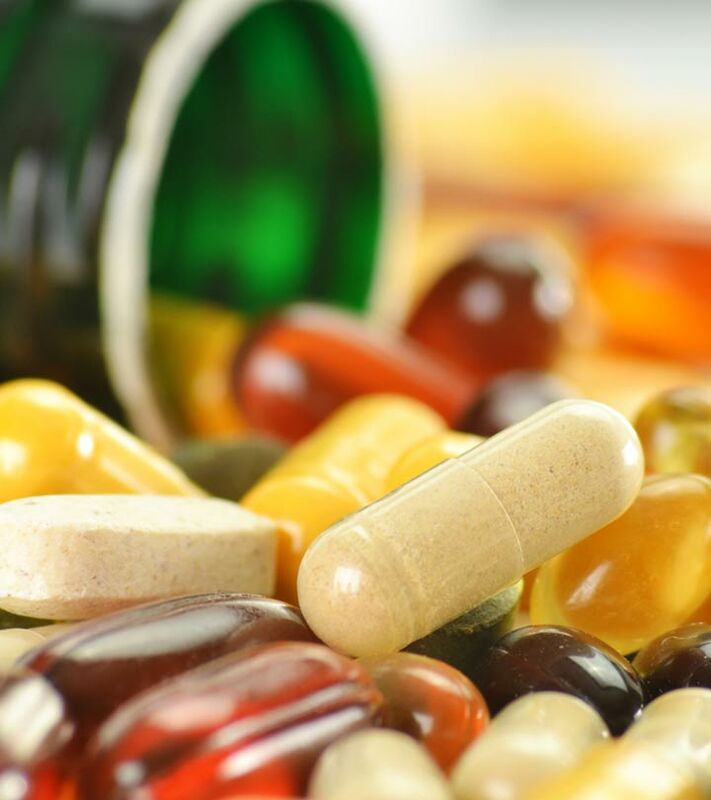 What Are Dietary Supplements? Do You Need Them? What is all this about? The first step towards answering that question is by understanding supplements properly. Dietary supplements are a convenient way one can ensure they get all the essential nutrients on a regular basis. Today’s supplements include vitamins and minerals, amino acids, herbals, and even enzymes. But do you need them? Let’s see. The World Health Organization recommends one to have 5 servings of fruits and vegetables for optimum health (1). Given that one serving equals about 200 grams, this simply means consuming close to 1,000 grams of fruits and veggies a day can work wonders in the long run. But do you follow that? Pressed for time, thanks to your fast-paced lifestyles, you hardly have time to slow down. Let alone taking time out to wash and cut fruits and properly eat them. But even if you do, we are sure you know how the market produce in today’s world is. Laced with pesticides. We don’t know where our fruits and veggies are coming from. If you take these factors into consideration, dietary supplements sure appear like a good option. Good option. But, in what way? Studies show how intake of dietary supplements helps boost athletic performance. For instance, antioxidants like vitamins C and E in the supplements fight free radical damage – thereby reducing muscle fatigue and inflammation and soreness (2). Protein and amino acids have a major contribution here – as they boost muscle recovery and muscle growth. And then, there is beta-alanine, which helps through workouts. Your muscles produce lactic acid during exercise, causing a burning sensation. Beta-alanine helps curb this burn and enables one to push through the workout (3). – Reduces protein breakdown (catabolism) – Packaging issues 4.2/5 Click Here! – 4 grams of natural glutamine – Taste may not appeal to all 4/5 Click Here! Protein is a must not just to build muscle, but also to put on pounds in a healthy way. Also, what matters most is how you get your regular protein intake. Where your protein comes from (through food or supplements) matters less (4). Creatine is one of the most researched supplements that is also naturally found in your cells. In addition to improving exercise performance, it can also contribute to healthy weight gain. Just ensure you go for creatine monohydrate, the most researched and safest type of creatine. You can check the packaging of the supplement or even speak to the seller. Optimum Nutrition Pro Gainer – 600 calories per serving, which is great for weight gain- Contains complex carbs, which prevent protein burn – Possible unappealing flavor 4.4/5 Click here! – Pricey 4.2/5 Click here! – No added sugar – The strawberry flavor is unappealing to most 4/5 Click here! 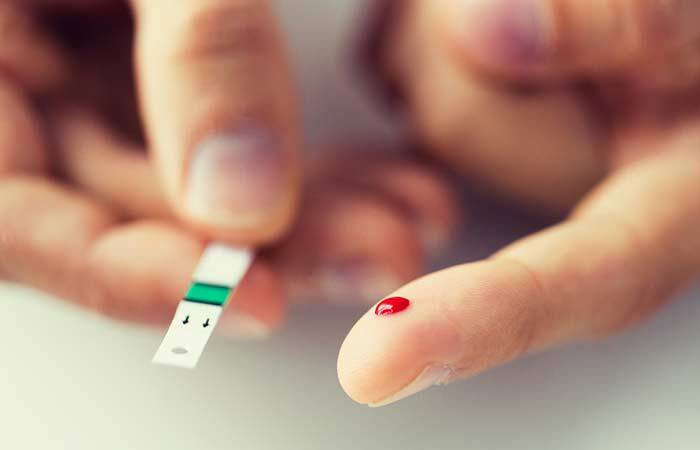 Certain nutrients go a long way in simplifying diabetes management. The first of these are omega-3 fatty acids – they reduce inflammation and lower triglycerides, both of which are diabetes complications. Another nutrient is alpha-lipoic acid, an antioxidant that fights cell damage and oxidative stress that are rampant during diabetes. Even getting adequate vitamin D can cut diabetes risk, as per studies. However, please note that these supplements can only help you deal with the condition better – and they must not be used as a replacement for diabetes medication. NOW Alpha Lipoic Acid – May help reduce fasting blood glucose – Might cause heartburn in some individuals 4.4/5 Click here! Talking about depression treatment, B vitamins take the lead. One remarkable study shows how 27% of the depressed women over the age of 65 had severe B vitamin deficiency (5). Omega-3 fatty acids also play a major role in treating depression. These fatty acids are comprised of EPA and DHA – and research shows how EPA can have major beneficial effects on depression symptoms (6). – Herbal blend, which helps relieve stress – Certain individuals might experience reactions. Hence, consult a doctor before use. 4.4/5 Click here! Iron deficiency is the most common cause of anemia, which occurs when there is insufficient iron in one’s diet. Lack of enough iron simply means your red blood cells cannot provide adequate oxygen to your cells, leading to anemia symptoms like fatigue, dizziness, and difficulty concentrating. – Added vitamin C assists better iron absorption -May cause stomach cramps in certain individuals 4.3/5 Click here! Nature’s Bounty Iron – Fewer instances of individuals complaining of constipation (compared to other brands) – A strong metallic aftertaste 3.8/5 Click here! 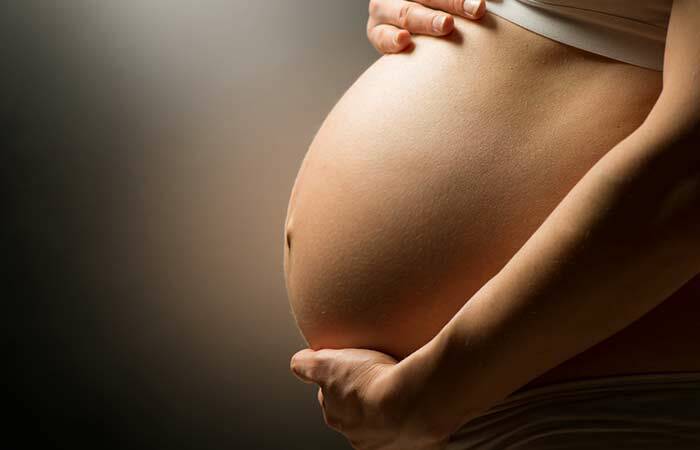 Supplementation during pregnancy is especially important when it comes to folic acid. Studies show how diets in developed countries are often deficient in folic acid, which is why supplementation is often advised (7). Also, pregnancy increases the need for nutrients – for obvious reasons. A woman’s macronutrient intake must significantly increase during this period. And what is even more important is her micronutrient intake (vitamins and minerals). Prompt correction of nutritional deficiencies is critical during this period as any laxity can lead to severe birth defects (folate deficiency, for example) (8). NatureMade Folic Acid – No artificial colors or flavors- Small pill size, so no trouble swallowing – The tablets might dissolve in the mouth, leaving an unpleasant aftertaste 4.4/5 Click here! – Non-GMO ingredients -May cause stomach issues in certain individuals; do consult a doctor 4.2/5 Click here! When we talk about hair growth, biotin is one nutrient that deserves our attention. We know hair is made of keratin, and biotin improves the keratin infrastructure in the body. Biotin also rebuilds the hair shingles that have been damaged by chemicals and extreme sun exposure. Other important nutrients for hair health are omega-3 fatty acids, which fight inflammation that can cause hair loss. The fatty acids also nourish the hair and promote thicker hair. Iron is another crucial mineral that supports hair growth. Sports Research Biotin – 3rd party Non-GMO certified- 90-day money back guarantee – Though rare, may cause allergies (including skin breakouts) in some people 4.4/5 Click here! Vitamins C and E work wonders for the skin as they can counter the effects of sun exposure. Topical vitamin C can fight the UV rays and even cut the risk of skin cancer, according to research. Vitamin E supplementation can prevent photodamage, reduce wrinkles, and improve skin texture (9). Vitamin A could be one remedy for acne. But for skin health, topical applications work far better than oral supplements. – Quite effective in treating acne scars – Might cause breakouts in some individuals 4.6/5 Click here! Puritan’s Pride Vitamin E – Rapid-release liquid softgels, easier to swallow – The softgels might stick to each other in the bottle. 4.4/5 Click here! These are the ways dietary supplements can make your life easier. They do help you bridge the nutritional gap, and that only comes with great benefits. In today’s day and age, getting the required amounts of fruits and veggies could be a challenge. How do you find a way around it? High-quality dietary supplements. But remember, they are not replacements. Anyway, along with the goodness of supplements, there are a few other things one must keep in mind. Supplements contain potent ingredients and hence can have strong effects on the body. When you take them instead of prescribed medicines, they might have adverse effects. Even taking too many supplements can cause problems. For example, excess vitamin K can reduce the effectiveness of certain blood thinners. Antioxidant supplements like vitamins C and E can reduce the effectiveness of chemotherapy medication. Some of the nutrients found in supplements are being added to foods like breakfast cereals and other beverages, which is why you must be cautious about overdoses. Excess vitamin A can lead to liver damage, while excess iron can cause nausea and damage to vital organs. Don’t take supplements along with medications (or as a replacement) without consulting your doctor. If you have a scheduled surgery, check with your healthcare provider before you take any supplements. Check for the reputation and transparency of the brand. How are the reviews? Are they third-party tested? And is the brand displaying all of its ingredients on the packaging? Do your research too. In today’s age, supplements are necessary. There is no doubt about that. Unless you consume enough servings of fruits and vegetables every day from your own organic garden, you may not be getting a balanced diet. And this is where supplements come into the picture. But remember – they are supplements. You don’t want to replace your diet with them. 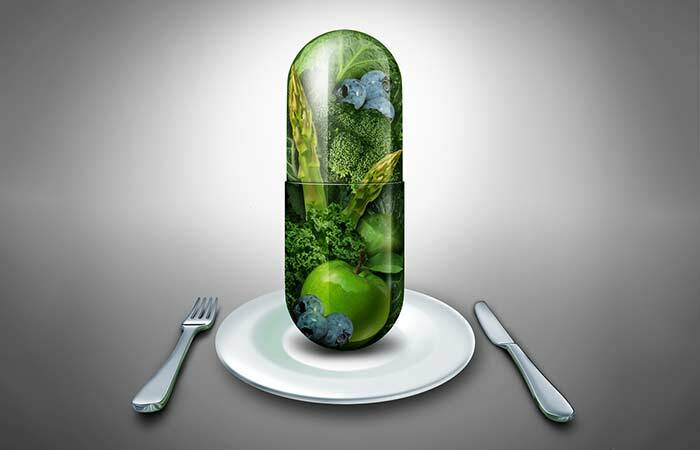 What is the advantage of consuming natural foods over dietary supplements? If you have access to natural foods (not the ones that you get from the market, but those that you get from a certified organic source), and if you have the time to eat those many servings of fruits and veggies a day – more power to you! Natural is always better. But if you don’t, it’s time you took a serious look at your diet. High-quality supplements are definitely a boon – if you take them as required. Who regulates dietary supplements in the United States? The FDA regulates both the dietary ingredients and the finished dietary products. “Fruit and vegetable intake: Benefits and progress…”. US National Library of Medicine. “Dietary supplements for exercise and athletic performance”. US Department of Health and Human Services. “Do supplements give athletes an edge?”. WebMD. “The effect of protein timing on muscle…”. BioMed Central. 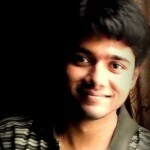 “Vitamin B12 deficiency and depression in the…”. US National Library of Medicine. “A double-blind randomized controlled trial…”. US National Library of Medicine. “Risks and benefits of nutritional supplements…”. US National Library of Medicine. “Periconceptional folate deficiency and…”. US National Library of Medicine. “Nutrients for healthy skin”. WebMD. 10 Serious Side Effects Of Biotin - What Is The Safe Biotin Dosage?